Why You Need This: The charging systems on these old Hondas are not the best, and the weak points tend to be the outdated electronic components. The factory voltage regulator (limits total voltage to the battery) and rectifier (converts AC to DC) were not of the highest quality to begin with, and now after decades of use and abuse they're even worse off. 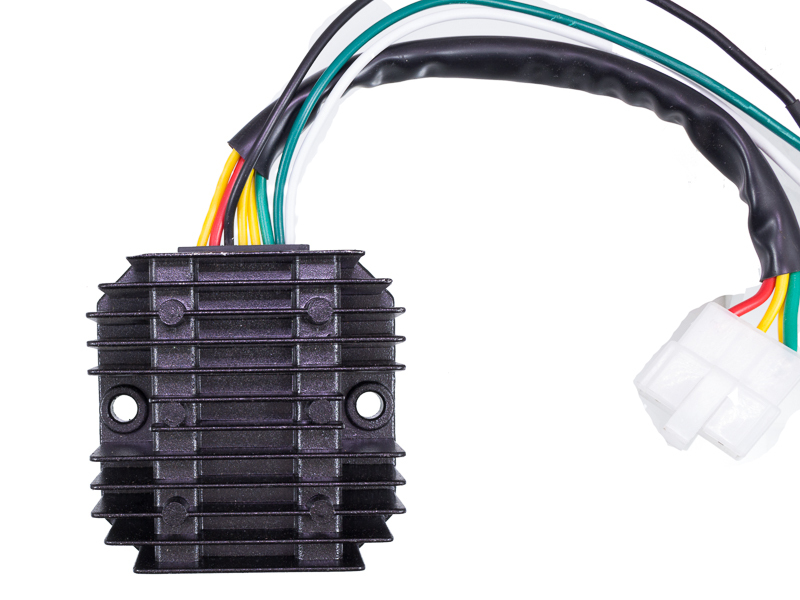 We've managed to find an affordable drop-in Honda replacement regulator / rectifier combo kit. 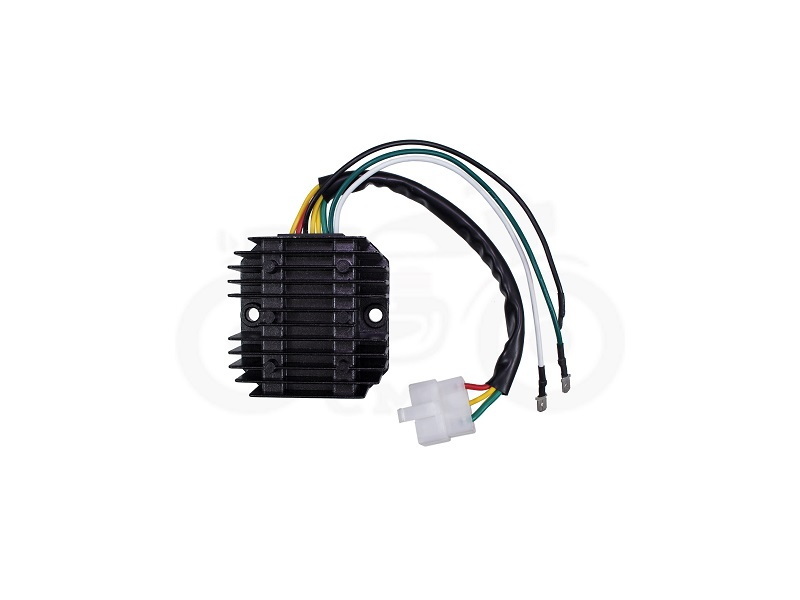 This modern Honda CB500K / CB550K / CB550F regulator / rectifier combo is a single unit that replaces both factory parts. This is the single best electrical upgrade you can do to your Honda next to our halogen H4 headlight. Installation Tip: This unit replaces both the factory regulator and rectifier. Depending on the bike you are working on, this unit can be mounted under the side cover with the rest of the electrical components. The original regulator and rectifier can be unplugged from the wiring harness and the new one simply connected. The black, white, and green wires connect where the voltage regulator was connected to the harness.